Have you ever noticed that there are certain people who seem to get ahead just a bit faster than everyone else? You know, the types who always seem to be a bit ahead of the curve, to get noticed a bit more, and to achieve their goals a bit more quickly than the rest of the pack? And have you ever noticed how much this small edge can matter, and the outsized impact it can have on the trajectory of their careers? Twenty-four year old entrepreneur Brian Wong is one of these people, having graduated from college by age 18, having raised $24 million in venture capital to start his own company before he turned 25, and having grown that company into a global mobile advertising giant in just 4 years. His secret? The Cheat Code. Cheat #16: Know Your Superpower! Cheat #71: Imagine, What If? 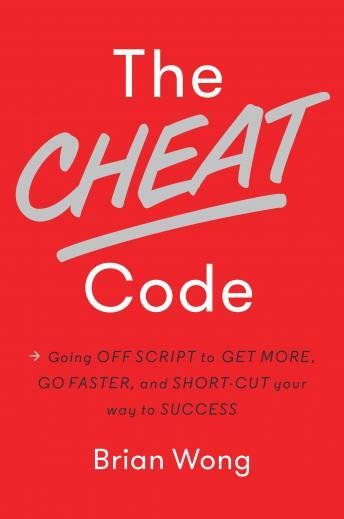 No matter where you aspire to go in your life or career, THE CHEAT CODE will help get you there - faster.